Forming part of the newly created Holywell Court development on Meads` seafront, a truly outstanding duplex-style penthouse..
An exceptionally spacious detached Victorian residence of impressive character with planning permission for two 3 bedroom detached coach houses in the rear garden, with further development potential. Considered to be one of the finest houses of its type currently on the market and completely refurbished in 2017 to the highest standard by the present owner with no expense spared. 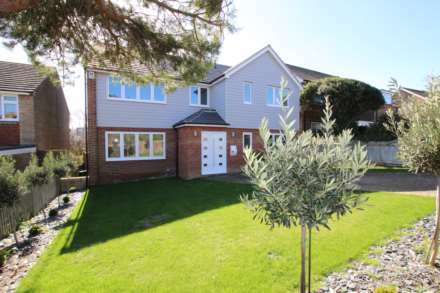 A newly constructed three bedroom town house forming part of the magnificent contemporary Holywell Court development on Meads seafront. The house is situated at the end of a terrace of just four properties and provides generous accommodation with private platform lift access to all four floors. A truly outstanding 4/5 bedroom detached residence set within delightful quarter acre of landscaped and secluded gardens. The house has been the subject of much improvement by the present owners and has been considerably extended and re-designed to provide a magnificent family home. A delightful three bedroom semi-detached cottage set within truly magnificent gardens of approximately one acre backing onto open countryside of The South Downs National Park. Sunnyside Cottages are set back from the road and accessed via a lane that serves just the two properties.